We're naming names. Here are 20 companies that are transforming the electrical power sector. Experts in the power sector often say that if Thomas Edison were around today, he would easily be able to recognize the American electrical grid, because the design of the system has essentially remained the same for the past 100 years. But that’s starting to change. The United States’ traditional, centralized electrical system is shifting toward a more distributed, responsive grid driven by technology innovation and evolving customer demands. This next-generation energy system is transforming utility business models and opening up new opportunities for energy service providers. 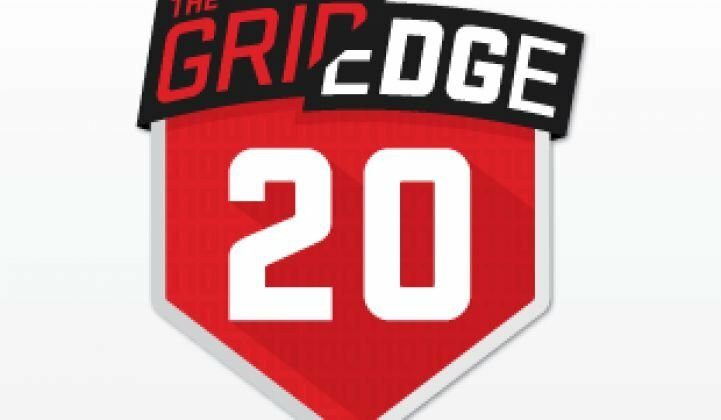 Now in its second year, Grid Edge 20 is again highlighting a score of companies for their contributions to grid edge technology transformation through new products, disruptive strategies and a forward-looking vision. Many of these companies will attending or presenting at Grid Edge Live 2015. This year’s Grid Edge 20 awardees were nominated by and voted on by a network of energy industry stakeholders, including the team of analysts at GTM Research. Final award recipients were selected with input from Greentech Media’s Grid Edge Executive Council. Since its launch in the fall of 2013, the council has grown to more than 75 member companies, most recently welcoming Duke Energy, Embertec, Enphase Energy, EPRI, SunEdison, and 3M. In recent years, Bit Stew has made strides with utility partners to improve data visualization and enable the prioritization required to improve operator awareness and efficiency. Utilizing data from the grid edge along with more traditional sources in a single-pane-of-glass model is becoming more important to improving utility operations, increasing reliability, and optimizing efficiency of both the electrical system and the crews that maintain it. Bit Stew’s Mix Core, the technology underlying the company’s grid director platform, quickly integrates new data streams -- in a matter of weeks, not months -- utilizing machine intelligence to automate data acquisition and discover new operational efficiencies. Additionally, Bit Stew is one of the first data analytics firms to “scale down” its platform to operate at the edge of the distribution network, through its innovative work with Cisco. Duke Energy has been pushing the envelope on grid interoperability over the past year through its distributed computing platform and “coalition of the willing” -- a select group of vendor partners working toward standardizing how grid-edge technologies integrate in the field. In 2015, Duke announced the list of coalition partners had grown from six to 25 and launched plans for a microgrid at a site in Mount Holly, North Carolina. Enbala Power Networks is trying to flip the grid from the traditional paradigm of supply following load to the emerging paradigm of load following supply. The Vancouver, Canada-based startup has built a software platform to monitor, control and aggregate flexible energy loads such as pumps, fans, motors and cold storage units to respond to grid commands, enabling megawatts' worth of fast-reacting load controls to play into frequency regulation markets run by grid operators PJM and Ontario IESO. Enbala's platform also helps balance wind power in Canada’s Powershift Atlantic project. Enbala’s most recent round of funding from GE Energy Ventures and Edison International subsidiary Edison Energy opens the opportunity for strategic partnerships in the worlds of utility operations and commercial-industrial energy services, respectively. This could expand its role as a distributed energy resource management software provider, an emerging class of technology that will become increasingly central to a grid landscape populated by energy at the edge of the grid. Enphase is the leading PV inverter solution in the U.S. residential PV market, with a 34 percent market share according to GTM Research's Q1 2015 U.S. PV Leaderboard. Not content with its dominance in the quickly growing microinverter space, Enphase has also recently announced a battery partnership to store solar power. The company has made a number of strategic partnerships with home energy management suppliers as well, such as Nexia and Mylight, and acquired NextPhase, a leading distributed PV O&M provider. With millions of microinverters deployed and monitored globally, Enphase can provide an unprecedented level of visibility into the grid edge -- an asset Enphase has used to help Hawaiian Electric Co. unlock thousands of PV systems stuck in the interconnection queue. The state of Florida experiences some of the most frequent and severe thunderstorms in the country, which often cause disruptions on the electric grid. Facing this challenge, Florida Power & Light (FPL) has made it a top priority to improve grid reliability for its 4.5 million customers. FPL recently completed its $800 million Energy Smart Florida project -- in which the utility deployed 4.5 million smart meters and more than 9,000 automation devices and sensors on its distribution grid, completed its DMS and implemented an overarching situational awareness tool. Now, FPL is redefining the historical view of how utilities should view outages deep on distribution laterals. Last year, FPL became the first utility in the industry to tackle momentary power outages -- outages that last less than one minute. These outages cost industrial, commercial and residential customers billions of dollars each year. By rolling out more than 80,000 TripSaver II lateral reclosers from S&C Electric Co. across FPL territory, S&C estimates that, according to government data, electricity users may save up to $500,000 per year on each main feeder. Among other benefits, these savings may be realized in fewer truck rolls to replace fuses and lower operational costs. Most importantly, switching from fuse-based to recloser-based protection schemes will increase customer satisfaction, while helping to address one of the utility industries' biggest pests. Green Charge Networks, a Santa Clara, Calif.-based startup deploying energy storage solutions for commercial customers, has been steadily gaining momentum since its launch in 2009. In addition to an initial $12 million in stimulus grants, the company announced a $10 million fund with TIP Capital last March, and then raised $56 million from K Road DG last July. The latest round of funding will go toward expanding Green Charge Networks’ no-money-down energy storage program. According to Vic Shao, CEO of Green Charge Networks, power efficiency agreements have emerged as the financing model of choice for intelligent energy storage. “In the last six months, we have added more than 28 megawatt-hours of projects under this model in California alone,” said Shao. “We continue to develop our business around scale in three key areas: domestic and international customer acquisition, new revenue streams, and product innovations." Earlier this year, Green Charge Networks announced it’s working with Japan’s Itochu Corp. to expand internationally. Some of Green Charge's existing customers include UPS, 7-Eleven and Walgreens. Software is an integral part of an effective grid-scale battery system, particularly when it comes to enabling each energy storage system to capture the full stack of revenue-generating values available to it. The role of energy storage management software will become even more critical as grid batteries move from one-off projects to mass-market deployments. Greensmith Energy Management Systems is one of a handful of providers that's seen its software deployed at significant scale, with more than 40 successful installations totaling more than 25 megawatts of capacity. Greensmith’s success has been driven by increased demand for energy storage to smooth intermittent renewable energy generation, as well as dramatically reduced technology costs. Andy Tang, Greensmith’s head of business development, said he’s already seen battery costs from Tier 1 producers drop by more than 20 percent in the last year, and is expecting to see an additional 40 percent reduction between now and 2019. Because Greensmith’s software is technology-neutral, the company is well positioned to capitalize on improvements across different types of batteries. Last fall, Greensmith added an aqueous sodium-ion battery from Aquion, zinc redox flow batteries from ViZn and lithium-ion batteries from two established suppliers to the eight battery types already using its systems. “Our business model allows our customers, developers and utilities to leverage the changes coming from battery manufacturers that continue to leapfrog each other with technology innovation,” said Tang. Gridco Systems is one of a handful of companies seeking to bring a new level of digital power control to the increasingly unstable edge of the solar-impacted power grid. The Woburn, Mass.-based startup’s in-line power regulator (IPR) devices can digitally manipulate the waveform of the alternating current that energizes grid circuits, in ways that traditional electromechanical gear can’t. Controlled with on-board computers and networked to a back-end control system, these IPRs can sense and compensate for voltage drops at the end of long feeder circuits, as well as mitigate reactive power and harmonic disruptions stemming from “noisy” inductive loads or fast-changing inverter-based distributed energy sources like solar PV and batteries. Among Gridco’s recent accomplishments, the company has deployed multiple emPower solutions (IPR-50 active voltage regulation/power quality devices) at a dozen North American utility partners since early 2014, including Sacramento Municipal Utility District and Canada's Greater Sudbury Hydro. Testimonials from these two utilities indicate that Gridco's technology is a potentially invaluable tool for solving a number of the challenges emerging on the edges of utility distribution grids. Landis+Gyr was already one of the world’s top smart metering and grid networking providers, assembled from a host of companies acquired by private equity firm Bayard Capital, when Toshiba bought it for $2.3 billion in 2010. Since then, it’s been adding new acquisitions to fill out its extensive grid capabilities, including meter data management software vendor Ecologic Analytics, demand response platform provider Consert, and grid analytics startup GRIDiant. Landis+Gyr is also participating in pilot projects to merge solar power and energy storage systems at grid scale in the U.S. and abroad. In the meantime, Landis+Gyr has also been winning a large share of the world’s biggest smart meter projects of late, including Tokyo Electric Power Co.’s 27-million-meter deployment. The Canadian province of New Brunswick currently has 294 megawatts of installed capacity from wind projects, and plans to reach a 40 percent renewable energy mix by 2020. To help reach that goal, New Brunswick Power Corporation (NB Power) has developed an innovative virtual power plant (VPP) to manage increasing amounts of intermittent renewable resources without relying on expensive fossil-fuel peaker plants. The VPP works by communicating with a cluster of distributed energy resources, such as water pumps and HVAC systems, and signaling them to power down or absorb excess grid power in accordance with the ups and downs of wind energy generation. NB Power has deployed technologies, such as Enbala’s Renewable Firming application, to leverage participating loads on a 24/7 basis, in intervals of 15 minutes. NRG Energy, one of the largest independent power producers in the United States, has based its long-term business strategy on a distributed, consumer-centric energy future. This effort is being spearheaded by NRG Home, a subsidiary of the New Jersey-based energy supplier. By offering customers advanced technologies at the grid edge, NRG expects to double its earnings in the coming years, from $3.3 billion in 2015 to $6.6 billion in 2022. NRG Home launched into the rooftop solar market last year with the acquisition of Roof Diagnostics. But solar is only part of the company’s home energy plan. NRG also wants to power customers’ electric vehicles with NRG eVgo and charge their electronics on the go with Goal Zero. Over the past year, in the wake of an IPO, Opower has continued to book business beyond its core offering of home energy reports in the residential sector. The Washington, D.C.-based company now boasts a partnership with FirstFuel that allows it compete for utility business across all customer classes. In a Q1 earnings call, CEO Dan Yates said Opower expects to be profitable in 2017. For all types of utilities, positive customer interaction is the starting point to be able to sell more services, whether it’s a solar bundle for retailers in deregulated markets or demand response updates for regulated utilities. Opower is using its cloud platform to drive deeper segmentation and more targeted interactions for regulated utilities, such as Commonwealth Edison and PSEG. It is also pushing its behavioral approach to demand response, a strategy it has successfully rolled out to more than 1 million Baltimore Gas & Electric customers. In competitive markets, it has switched focus from efficiency to customer care to decrease churn, a pain point for energy retailers both in the U.S. and abroad. S&C Electric Company, a century-old firm, is making major contributions to the grid edge transformation through its distribution automation and energy storage integration technologies. S&C’s intelligent distribution automation systems have been deployed by major utilities all around the world, preventing millions of customer interruption minutes. In addition to helping prevent long-term power outages, S&C recently installed its TripSaver reclosers throughout Florida Power & Light’s utility system in one of the industry’s first initiatives to reduce momentary outages. Over the past six years, S&C has also been building its vertically integrated, grid-scale energy storage business. In 2014, S&C introduced the PureWave SMS-250 Storage Management System, a mid-sized solution designed for both grid-scale and commercial energy storage. The company also took a lead role in the construction of a 6-megawatt/10-megawatt-hour energy storage project in the U.K. -- the largest energy storage facility in Europe. Earlier this year, S&C launched an innovative microgrid project in Texas in partnership with Schneider Electric and Oncor. The volume of data now being generated from smart meters and other intelligent grid-connected assets has compelled forward-looking utilities to innovate, in order to continue providing their customers with safe and reliable service. That’s at least the view Sacramento Municipal Utility District (SMUD) took with the implementation of Space-Time Insight’s geospatial and visual analytics software. This solution, part of SMUD’s Situational Awareness and Visual Intelligence initiative, is designed to improve the quality and speed of data analysis and, ultimately, of grid planning and operations. The project analyzes and visualizes data from more than 30 different systems, including from distribution, outages, solar installations, electric vehicles and weather systems, to allow for more informed smart grid decision-making. Inside SMUD’s Distribution Operations Center, the utility can see both historical and real-time data displayed on a large “electronic wall map” from Intergraph. Access to this data has allowed SMUD to improve energy efficiency, promote and monitor renewable energy integration, and reduce peak load and system losses. French grid and building power equipment giant Schneider Electric has its hands in just about every aspect of the grid-edge nexus, from circuit breakers and building control systems to distribution grid gear and control software. Schneider Electric’s lengthy list of acquisitions include energy services providers, advanced grid management software vendors, and demand response platform operators, and it capped off 2014 with its record-breaking $5.2 billion purchase of Invensys, the U.K. industrial control and logistics platform provider. Schneider’s reach extends further through partnerships with EV charging startup ChargePoint and automated demand response technology provider IPKeys, and it’s building microgrids with Dong Energy and S&C Electric. SolarCity swept its competition in the U.S. residential solar market last year, claiming 34 percent market share, according to GTM Research’s Q1 2015 U.S. PV Leaderboard. But while SolarCity continues to maintain the title of largest solar installer and financier in the U.S., it’s also taking steps to innovate. SolarCity is making a major play in energy storage, leveraging its access to Tesla's battery-based energy storage hardware. This PV/battery solution seems to represent a nightmare for utilities, theoretically allowing customers to abandon the electrical grid entirely. But rather than a means to enable grid defection, CEO Peter Rive sees SolarCity’s solar-plus-energy-storage solution as a utility asset. Earlier this year, SolarCity announced it will start offering “microgrids as a service,” integrating solar, inverters, energy storage, and control software as part of a single package with little to no upfront costs. SolarCity is also helping its customers improve overall home energy management through a new collaboration with Nest. As SolarCity enters new markets, it’s also evolving its rooftop solar business. The company recently started offering a loan product, in addition to its popular solar lease, and continues to drive down costs, reaching $2.09 cents per watt in 2014. Behind-the-meter battery systems had a big year in 2014, with U.S. deployments tripling, according to GTM Research. San Francisco-based startup Stem is one of the leading contenders in this field. Its combination of partner-supplied lithium-ion batteries and inverters, along with its own software, helps commercial customers predict and prevent peaks in energy usage to curb demand-related costs. Stem was one of the first companies in the space to take a page from the third-party solar financing realm, raising $100 million to finance its projects to reduce upfront customer costs. Stem is also aggregating its storage systems to bid them into demand response pilot programs in California, and the company won a groundbreaking PPA with Southern California Edison to supply 85 megawatts of storage to meet the utility’s long-term flexible capacity resource needs. Residential energy storage hasn’t yet found a cost-effective formula for deployment, unlike the demand charge reduction business case for commercial building batteries. Even battery-backed home solar systems can’t offer a clear payback on the emergency backup power they can provide. Sunverge Energy sees utilities as the missing link in this equation. The Stockton, Calif.-based startup has deployed several megawatts' worth of its units in pilot projects from Sacramento to Auckland, New Zealand. It has also built a control platform to aggregate and manage its battery units in ways that can help smooth out solar-altered load curves, reduce congestion on specific circuits, and otherwise manage the economic disruptions that distributed solar can cause utilities. In December Sunverge announced a partnership with SunPower to add the solar developer channel to its paths to market. Home energy management (HEM) startup Tendril was founded in 2004, raised lots of money in the pre-recession years, landed dozens of utility customers, and then nearly closed down under the weight of its hardware-centric business model and the failure of the HEM market to move beyond pilot projects. Since its 2012 restructuring, the Boulder, Colo.-based company has refocused on software, with energy efficiency microtargeting to strengthen the utility-customer relationship. In addition, Tendril’s physics-based home energy modeling and consumer behavior analytics expands its reach beyond its traditional utility customer base. That strategy has borne fruit with a $20 million investment from SunPower that comes with an agreement to license Tendril’s software for a combined solar-home energy platform, and a $7.2 million investment from GDF Suez to bring its platform to the European market. "As for what the future holds," said CEO Adrian Tuck, "we expect energy providers to take it a step further by becoming conductors of complex orchestras, managing a diverse set of new players and technologies to provide the best solutions for consumers." Tesla Motors Inc., renowned for making the luxurious Model S all-electric sedan, is building toward a truly grid-edge future that includes not only electric vehicles, but also supercharging stations, solar arrays and energy storage systems. At the end of April, Tesla will officially launch its stationary energy storage product line, rumored to include a smaller battery for residential use and a large battery for utility applications. Once it reaches full capacity, the Giga factory is expected to be able to produce 50 gigawatt-hours of battery packs for electric vehicles and stationary applications -- which is greater than all of today’s global battery production. You can find the list of last year's winners here. Grid Edge Live 2015 will bring together many of the Grid Edge 20 companies and more than 500 executive and thought leader attendees. Join Greentech Media at Grid Edge Live in San Diego, Calif. from June 23-25.